The garden site is chosen and the gardeners are installing the posts and pest-proof fence. The garden and seedlings will be ready to plant on May 15, the usual date of the last frost. Alexander attaching the fence to the posts. 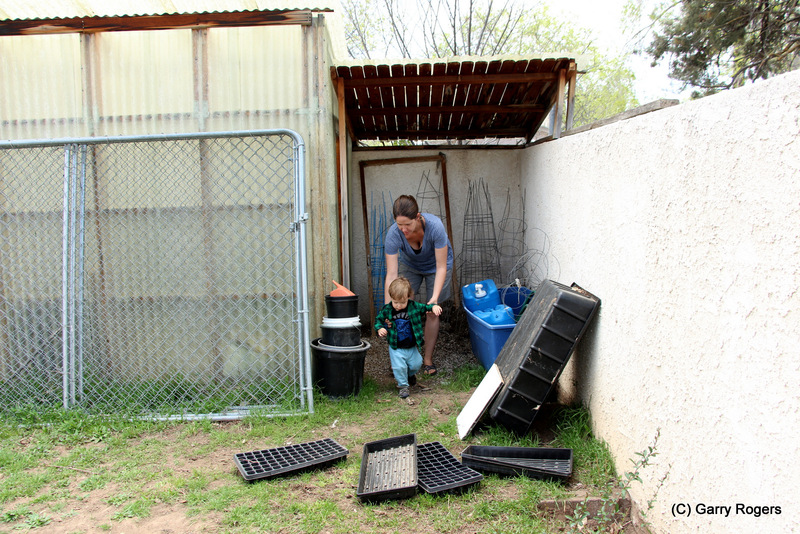 Katie (Gardner) escourting Alexander (Assistant) out of the Duck coop.